Be the first to hear about their new releases and deals. 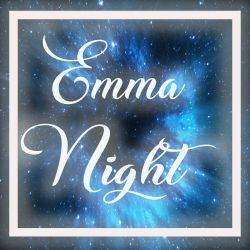 Download the Booksprout app and search for Emma Night today! Emma Night has always had a flare for writing about paranormal fantasy. She fell in love with vampires at a very young age and her love grew to include Sci Fi Fantasy Romance. She has found a devotion for writing about her shifters and being able to bring all the worlds together. Her books are filled with twists and turns. Just when you think you have the series figured out, there will be a shift.